Small Business - Eat & Educate Workshop: "Courageous Conversations"
Conflict is neutral but not always easy. Engaging in conflict resolution in the workplace can be daunting. However, there is a helpful way forward. Courageous Questions are bold, strategic and siphoning questions that lead to effective action. Courageous questions are not for the faint of heart but for the active heart. The heart of a team willing to look themselves and those around them in the mirror and say, "I can improve and change my environment, now that I am aware." Are you courageous? You were made to be. Tolu Akande is the lead life and corporate coach at ToluCoaches, a Metro Atlanta coaching company designed to serve individuals and organizations in transition. Tolu himself is in transition, being newly married to his beautiful wife Amanda and learning the joys of parenting their newborn, Asaph. A Nigerian-American hailing from Chicago, Tolu brings peculiar life experience to coaching. Professionally, Tolu has served on many management and executive teams with a focus on training, development and conflict resolution. Holding a master’s degree in International Relations and Conflict Resolution, Tolu brings a unique perspective to resolving conflict in the workplace and coaching organizations on conflict management best practices, when specifically working with millennials. Tolu loves critical thinking that leads to effective action. You will thrive when he uses his natural intuition and training to coach, assist in creating solutions and foster creativity with emotional intelligence as his guide. 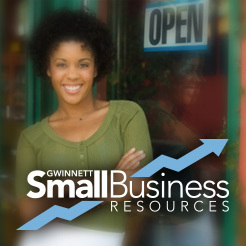 Please contact Stephanie Sokenis, Sr. Director, Membership Services & Small Business at SSokenis@GwinnettChamber.org or 678-672-2562, with any questions.